"Alexa, turn on the lights." 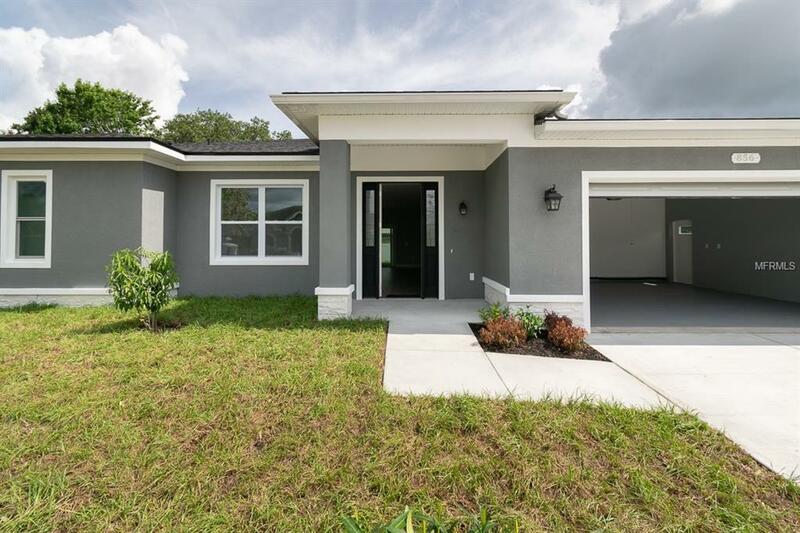 Take a closer look at this gorgeous new construction Smart Home in Bay's End, one of Oldsmar's most peaceful neighborhoods. Enjoy the spacious open layout with stunning features including a Ring video doorbell, Alexa SmartHome technology with smart plugs configured to your preference, 9 ft ceilings throughout, high-end laminate flooring, and a laundry room with its own built-in sink. The kitchen makes this house the perfect entertainment hub with wide granite countertops that extend into a breakfast bar, 42-inch wood cabinets, and 'brand new stainless steel appliances with manufacturer warranties. Equipped with high-impact, hurricane-resistant windows and sliding glass double doors, you and your family will feel safe. The master bedroom has separate his/her closets. Master bath boasts a marble countertop, dual sinks, and dual rainfall showerheads. The front entrance of the home is designed with a slight ramp for easier entry/exit and handicap accessibility. Other bonus features include cork-like wall insulation material for high efficiency, additional power and water connections installed in the backyard to facilitate a new pool, and an extra-wide 2-car garage with ample storage room which also includes the water softener connections! Concrete block exterior and APPRAISED for $416K in September 2018. Finally, a home insurance quote of $451/yr proves that new construction is the way to go!